Your itinerary includes some good beach time at Nobbys Beach and Merewether Beach. Family-friendly places like Blackbutt Reserve and Hunter Valley Zoo will thrill your kids. Next up on the itinerary: learn about winemaking at Peterson House. To see maps, reviews, more things to do, and tourist information, use the Pokolbin trip maker app . New Delhi, India to Pokolbin is an approximately 18.5-hour flight. Traveling from New Delhi to Pokolbin, you'll lose 4 hours due to the time zone difference. Traveling from New Delhi in June, expect Pokolbin to be colder, temps between 20°C and 9°C. Wrap up your sightseeing on the 18th (Tue) early enough to travel to South West Rocks. Start off your visit on the 19th (Wed): examine the collection at Maritime Museum South West Rocks, visit a coastal fixture at Smoky Cape Lighthouse, then make a trip to German Monument, and finally steep yourself in history at Trial Bay Gaol. To find maps, ratings, reviews, and other tourist information, read South West Rocks trip planner . Getting from Pokolbin to South West Rocks by car takes about 4 hours. In June, plan for daily highs up to 22°C, and evening lows to 11°C. Wrap up your sightseeing on the 19th (Wed) early enough to travel to Lightning Ridge. Lightning Ridge is a town in north-western New South Wales, Australia, in Walgett Shire, near the southern border of Queensland, about six kilometres east of the Castlereagh Highway, and is served in commercial activities by the town of Walgett, some 75 km to the south. Kick off your visit on the 20th (Thu): explore the galleries of Chambers of The Black Hand, take in the natural beauty of Artesian Baths, browse the exhibits of John Murray Art Gallery, stop by Down to Earth Opals, then get engrossed in the history at Kangaroo Hill Complex, and finally get a new perspective on nature at Australian Opal Centre. For where to stay, more things to do, traveler tips, and tourist information, you can read our Lightning Ridge tour itinerary builder site . Traveling by car from South West Rocks to Lightning Ridge takes 8.5 hours. Alternatively, you can fly. Finish up your sightseeing early on the 20th (Thu) so you can travel to Broken Hill. Visit Broken Hill to tour the mines and stay for the authentic feel of an outback settlement. Kick off your visit on the 21st (Fri): identify plant and animal life at The Broken Hill Sculptures & Living Desert Sanctuary, examine the collection at Sulphide Street Railway & Historical Museum, then make a trip to Broken Hill Miner's Memorial, and finally see the interesting displays at Royal Flying Doctor Service, The Bruce Langford Visitors Centre. On the 22nd (Sat), you'll have a packed day of sightseeing: browse the exhibits of Howard Steer Art - Flying Doctor Artist, explore the world behind art at Pro Hart Gallery, Head underground at Day Dream Mine, then see the interesting displays at Silverton Gaol Museum, and finally get great views at Mundi Mundi Lookout. 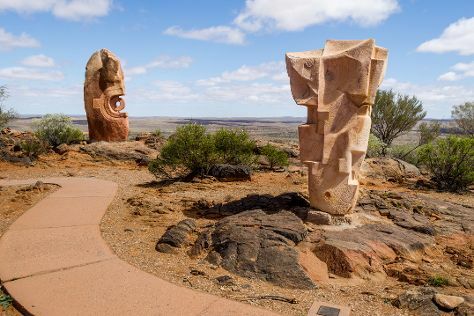 To find more things to do, where to stay, and other tourist information, go to the Broken Hill trip itinerary maker app . Do a combination of bus and flight from Lightning Ridge to Broken Hill in 7.5 hours. Alternatively, you can drive; or do a combination of bus and train. In June, daily temperatures in Broken Hill can reach 17°C, while at night they dip to 11°C. Wrap up your sightseeing on the 22nd (Sat) early enough to travel to Mudgee. White latticed historic buildings and a red brick clock tower occupy Mudgee's town center. Do some cultural sightseeing at Lowe Wines and Logan Wines. You'll discover tucked-away gems like Distillery Tours and Broombee Organic Wines - Cellar Door. There's more to do: learn about winemaking at SHORT SHEEP Micro-Winery and identify plant and animal life at The Drip Gorge. To see traveler tips, where to stay, ratings, and other tourist information, use the Mudgee attractions planning tool . Traveling by combination of flight and car from Broken Hill to Mudgee takes 5.5 hours. Alternatively, you can drive; or fly. Plan for slightly colder nights when traveling from Broken Hill in June since evenings lows in Mudgee dip to 3°C. Wrap up your sightseeing on the 25th (Tue) to allow time to travel to Sydney. Kids will enjoy Manly Beach and Bondi Beach. The Rocks and Sydney Opera House are good opportunities to explore the local culture. 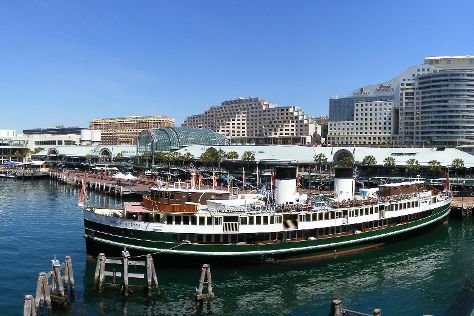 Next up on the itinerary: take a stroll through Darling Harbour, enjoy breathtaking views from Sydney Tower Eye Observation Deck, admire the masterpieces at Art Gallery of New South Wales, and make a trip to Mrs Macquarie's Chair. For maps, other places to visit, reviews, and tourist information, read Sydney driving holiday planning app . You can fly from Mudgee to Sydney in 2.5 hours. Other options are to drive; or do a combination of bus and train. Traveling from Mudgee in June, expect Sydney to be a bit warmer, temps between 21°C and 11°C. On the 30th (Sun), wrap the sightseeing up by early afternoon so you can travel back home.